2019 started off with a bang, which, it turns out, was the sound of my ankle breaking on a snowy walk down a dinky little hill with our beloved dogface, Muddy. I can’t lie, being temporarily incapacitated has been humbling, to say the least – forcing me to sit (gasp) and ask for help (gasper). 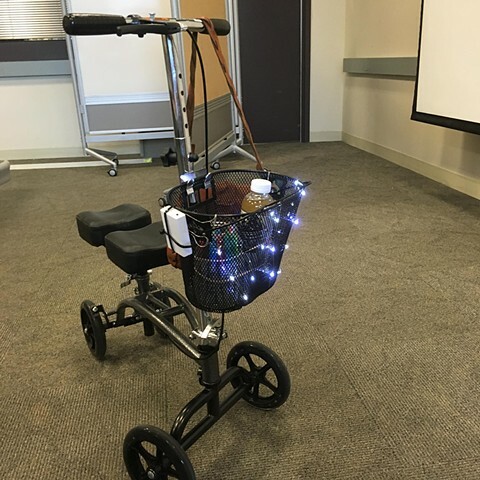 But it has also made me happy as a clam, in large part to Aaron who has not complained or rolled his eyes or even gotten short with me ONE TIME throughout carrying me to/from car (did I mention I broke my right ankle and I cannot drive? ), cleaning the house, doing all the laundry, shopping, cooking, walking said dog, fetching things, etc. Let’s be real, none of that is a big surprise or wildly from the norm either, right Aaron? Also a big shout out to friends and family who have provided delicious food, good reading material, and a wide and varied assortment of medical equipment (see above). I love my community. 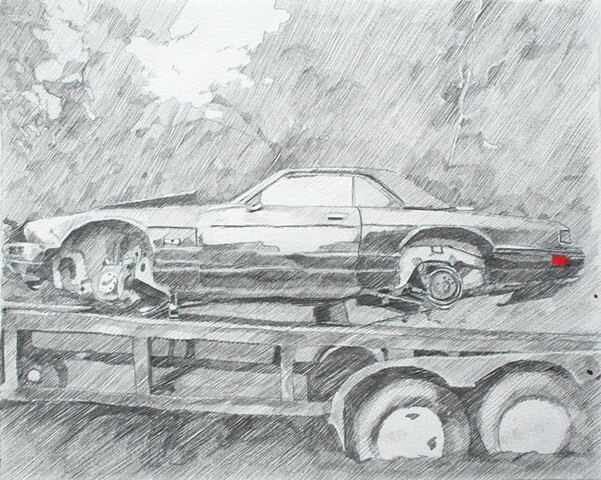 I have been tinkering on a series of small drawings inspired by waves of homesickness, including memories of stumbling upon this car while lost on the backroads of Coahoma County in 2012. And before anybody gets puffed up about the title, the bumper sticker on said vehicle identified it as the property of one Kappa Kappa Gamma. You can find this one and several others like it here. 168 Hours recently returned from an extended vacation in lovely Longmont, Colorado as part of Making Headlines, a three-person exhibition featuring the work of Colorado artists Joel Swanson and Mario Zoots at the Firehouse Art Center. 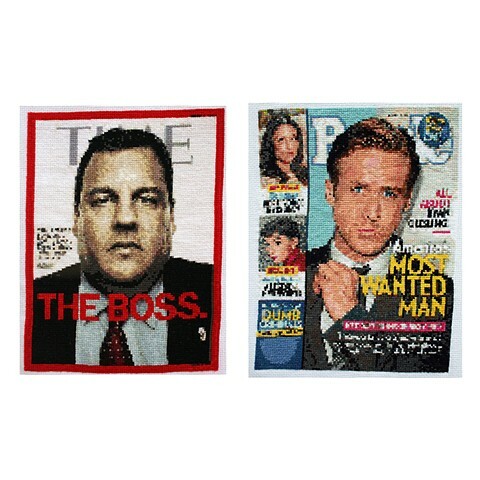 Chris Christie and Ryan Gosling, the two newest members of the 168 Hours club, made their debut. Coverage of the show can found here and here. Last month, I finished El Puente (Spanish for The Bridge), a mural in Perry, Iowa, where I have participated in a number of community art projects. Perry, a community of 7700 about 40 miles southwest of Ames, is coincidentally the hometown of one of my closest friends from my undergrad days at Tulane University. In fact, visiting my friend in Perry in 1998 was the ONLY other time I had visited Iowa before I packed up a U-Haul and moved here in 2007. But I digress. 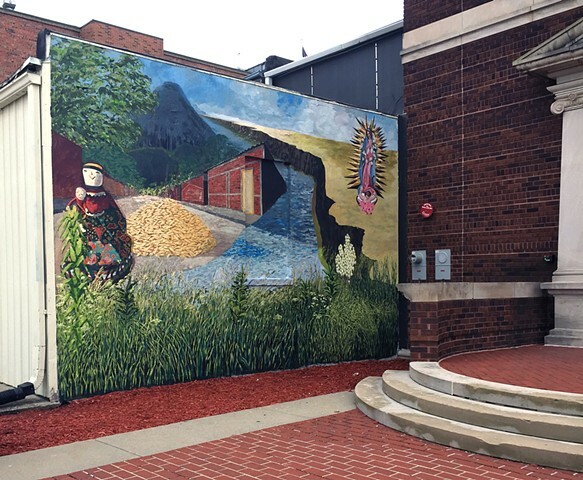 The mural is part of a larger community grant focused on celebrating the history and culture of Perry's Latina community that compromises over 40% of the town. Jon Wolseth, my ISU Extension and Outreach colleague, interviewed a few community members about their migration stories into the United States, and I created the mural to reflect these. You can learn more about the project, Perry, and ISU Extension and Outreach here. 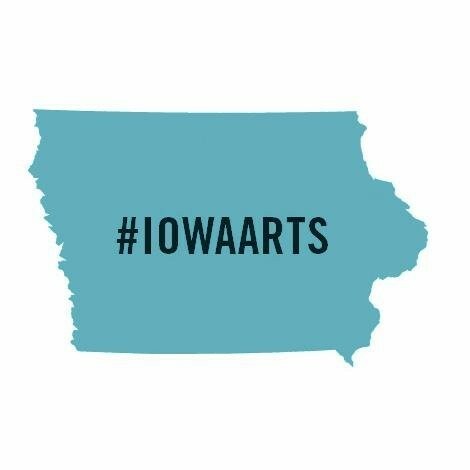 DEFT Studios and the Iowa Arts Council partnered to create two short videos about my art practice. Watch the first about my overall approach here. The second focuses on a mural project I'm tackling in Perry, Iowa. My nine-to-five is Iowa State University, where I serve as an assistant professor in art and visual culture and as a community art specialist for the Community and Economic Development unit for ISU Extension and Outreach. The length of the title provides insight into the day-to-day, which is fulfilling and a bit frantic. Needless to say, the summer provides a bit of respite or at least some time to dig back into the studio. Cross-stitching provides a lot of time to catch up on podcasts and reading (I count Audible as reading), and I’ve gotten into the nerdy habit of keeping tracks of books, articles, and folks that resonate. I convince myself that this obsessive tracking is part of my “process”, but really I just like graph paper and spreadsheets. In all seriousness, I love to learn about what other people are into, so in the spirit of sharing the love, I thought I’d make my own list. 1. Essentialism by Greg McKeown. Minimalism hooked me, but Mr. McKeown is who made me a believer. Essentialism is minimalism of your time and effort. I really believe that every leader, boss, entrepreneur, everyone should read this. Twice. 2. The work and writing of Tressie McMillan Cottom. I stumbled across Dr. Cottom on Fresh Air (I credit Terri Gross for most of my cultural intake) and immediately followed her on Facebook. She is brilliant, hilarious, accessible and laser sharp with her insight into American culture on issues of race, gender, and equity. I love her. 3. Justin Mortimer. Contemporary British figurative painters are no joke. 4. Dave Chappelle. Old, new, forever. This Sunday, I deliver 168 Hours to Iowa City's Times Club, a curated gallery space within Prairie Lights, one of the country's top bookstores. Moving from Mississippi, the home of Square Books and Lemuria, I was so happy to discover this place. 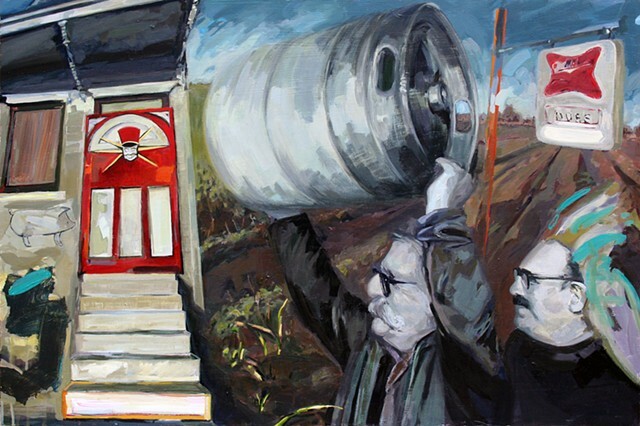 The show runs from May 7 - June 3, with a reception on Sunday, May 13 from 4-6 pm. I’m Lucky to Be Alive (December 16, 2013: Part II), the twelfth of this series, will make its public debut, completed eyeballs and all. One of the most fun components of the Iowa Arts Council Fellowship this year has been getting the chance to hang with the other Fellows on a semi-regular basis. The IAC generously organized a 3-day Creative Capital professional development workshop last August, which was fabulous. 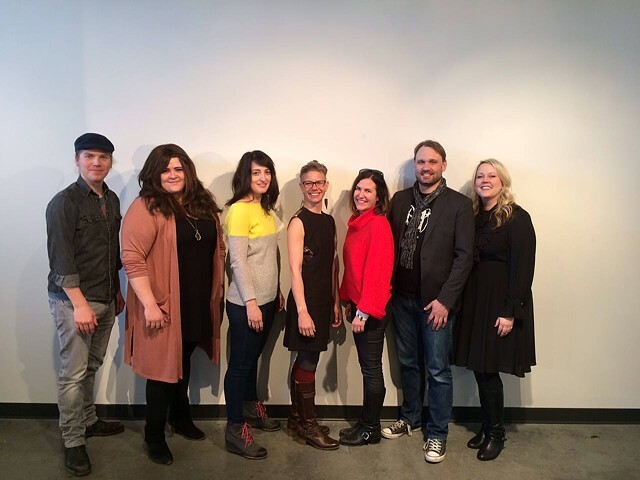 In November, the Oskaloosa Art Center hosted the first of 4 statewide Meet the Artist events, each an opportunity for us to present about our work and meet other creatives across Iowa. I love any reason for a road trip, so I was pleased to be able to visit La Poste in Perry, the Harvester Artists Lofts in Council Bluffs, and the Figge Art Museum in Davenport. Thanks to the Daily Nonpareil for this article about our visit to Council Bluffs. Lenses: Seen and Be Seen wrapped up in February. I am embarrassed to admit that over the past few years, I had become so focused (obsessed?) with the 168 Hours series that I neglected a regular painting practice. From a painting perspective, this is a little like quitting an exercise routine. Starting back up is an uncomfortable, awkward, often demoralizing mess. And every time I do this to myself, I always inwardly yell "Drinkwater, NEVER again". I just turned 39. And I decided this year will indeed be different. I nerdily created a 3-year plan of work to hold myself accountable (more on that in a later post), and so far, so good. It's no secret that regular website posts are part of this POW. And so is a daily painting practice. So, I picked up an earlier series that I began back in 2014. During that year, I lived around the corner from a kid's fort that was built in a median cul-de-sac, which I found totally bizarro. Tiny plot of land surrounded by concrete. No kids anywhere in sight. It was sad and made me super nostalgic, which often is my painting trigger. 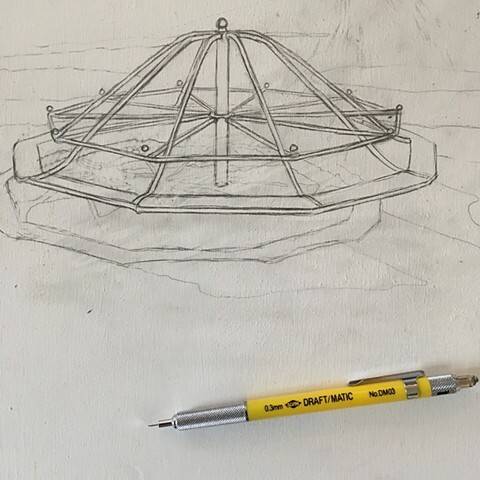 Here's a drawing of one currently in progress. Oh my, these really are so fun to draw. I just finished up my most recent commission piece this month. Make A Joyful Noise was a total departure from my previous portrait commissions, in that this one falls more in line with what and how I normally paint. I'm not someone who believes portraits can capture someone's essence. Hell, I don't even believe in "essences". My friend asked me to create a portrait of his late father, a man who, by all accounts, was larger than life. Portraits are always collaborations. He sent images and told me stories. I did my best to listen. What resulted was a tribute to my buddy’s dad made up of faces and places that meant something to him. 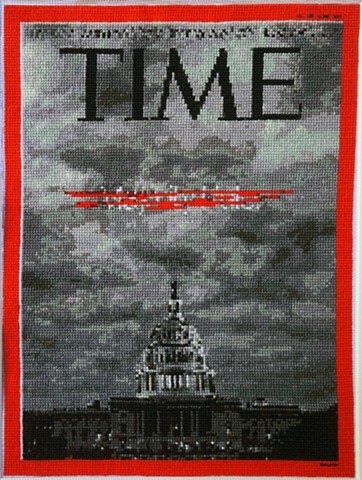 Got the news this week that Majority Rule (October 14, 2013: Part I) was chosen for 40 Under 40, an exhibition at Fort Work Arts that runs from September 14 to October 28 in Fort Worth, Texas. Excited to be part of this show! This past weekend I participated in a mind-blowing, 3-day professional Development workshop hosted by Creative Capital , a top-notch arts organization begun by the Andy Warhol Foundation in the mid-1990’s, a time when the NEA stopped providing any individual artist funding due to political pressure (cough Newt Gingrich cough). This group generously provides financial and professional support to risk-taking creatives of all sorts through a host of grants, webinars, and other artist opportunities. Several visual artists, a handful of filmmakers, one writer and a musician from all over Iowa hunkered down at the State Historical Building in Des Moines under the leadership of a terrific Creative Capital crew. On Friday evening, each of us gave a 3-minute introductory presentation of our work, which surprisingly is much harder than writing a 15-minute presentation. Every single word counts. During the rest of the weekend, we covered everything from strategic and financial planning to networking and budgeting. Being someone who loves a plan, this was right up my alley. I highly, highly recommend anything offered by Creative Capital and may thanks to Veronica O'Hern at the Iowa Arts Council for making all of this possible. 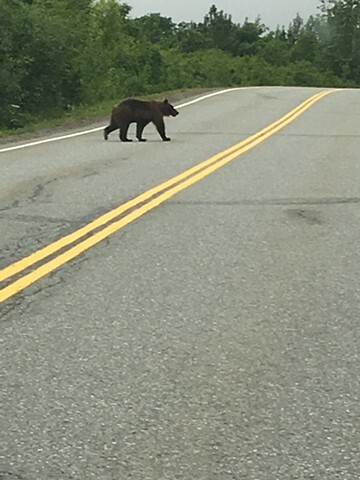 We got back from Alaska a little over a week ago. In a nutshell, it was awesome. This was my second trip to the land of the moose, but my first chance to really go inland. We made some new friends (see above), ate reindeer sausage, and celebrated Aaron’s (spouse) birthday for pretty much the entire week. Incidentally, there is quite a lot of mighty good craft beer up there, which I suppose makes the winters pass by a little more tolerably. The show at the International Gallery of Contemporary Art went well, and many thanks to Honor Hall and the rest of the IGCA staff and board for supporting such a great space. 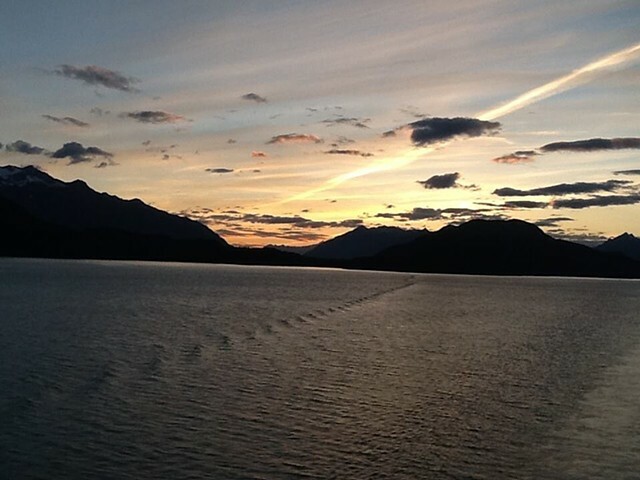 Anchorage has a bustling art scene, as does much of Alaska. We were there for First Friday, when a large number of downtown Anchorage art spaces open their doors to showcase new exhibitions. I was fortunate enough to show with painter Anne Wedler and photographer Joe Yelverton. Yelverton’s body of work, Unseen, is incredibly compelling – he spent several months interviewing and traveling with the Alaska 210th and 212th rescue squadrons, which he documented with large-scale color photographs. Yelverton himself had to undergo serious training in order to complete this project, which takes artistic sacrifice to a whole new level. The show runs until the end of July. More information can be found at www.igcaalaska.org. Anchorage bound in T minus 6 days. 168 Hours will debut at the International Gallery of Contemporary Art during the month of July with an opening reception on Friday, July 7, 5-8 pm. Alaska friends (do I have any? ), take note! I am taking full advantage and dragging my spouse to the tundra for a week to see the show and the sights.